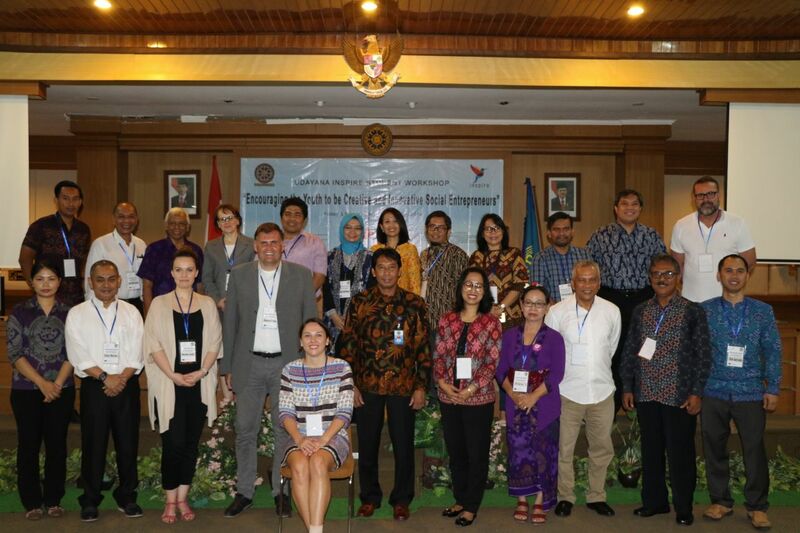 After successfully conducting the student workshops in each Indonesian HEI, all project partners met at UNUD in Bali for a two-day consortium meeting. Important topics to discuss were the involvement of students in all INSPIRE activities, as well as the upcoming Business Plan Competition to be hosted in Indonesia. 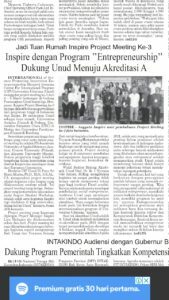 The meeting was opened by Prof. Dr. Ir I Nyoman Gde Antara M.Eng, the Vice Rector of Academic Affairs and met with high media attention including coverage in a local newspaper. 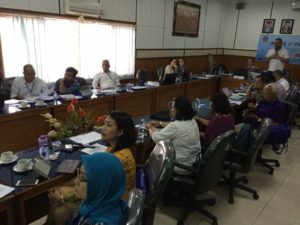 Apart from discussing project procedures, consortium members were invited to visit two social enterprises for a study visit. First was Bali Tangi, INSPIRE´s trusted company partner, that showed their production room. 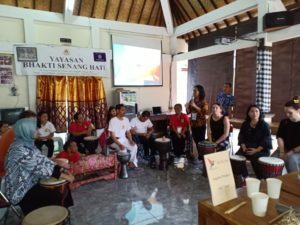 On Day 2, a field trip was taken to Yayasan Bhakti Senang Hati, the only foundation in Indonesia run by disabled people for disabled people. 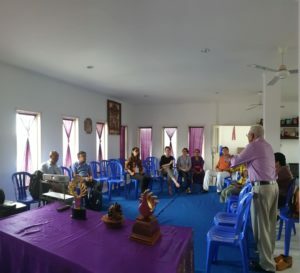 During a very inspirational visit, foundation members showed production of their crafts such as bamboo straws and explained the benefits they received through their connection to Bali Tangi and the INSPIRE project. New friendships were formed during a joint performance of local music.